According to a report, Hideo Kojima has left Konami, and is currently forming a new studio. Update: Hideo Kojima has confirmed the rumors, writing on Twitter: "My employment contract with Konami has been terminated as of Dec 15th, so today marks a new start for me. I'm committed to be involved in creative activities for as long as I live. Look forward to what's coming." You can read more about Kojima's partnership with Sony here. Original Story: According to Japanese publication Nikkei, Metal Gear Solid creator and director Hideo Kojima has officially parted ways with Konami. According to the report, Kojima is establishing a new studio, which is expected to retain former Kojima Productions staff, and is also in talks with Sony Computer Entertainment. Earlier this year, it was revealed that Konami had removed Kojima's name from Metal Gear Solid V: The Phantom Pain's box art, and also cancelled Kojima's Silent Hills project. 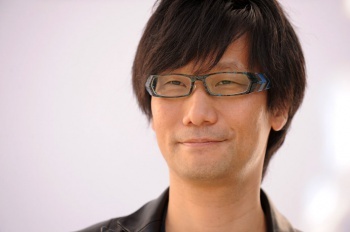 In October, it was reported that Kojima left Konami - a claim that Konami disputed, stating that Kojima was "on vacation." Most recently, at the 2015 Game Awards, host Geoff Keighley stated that Konami had barred Kojima from attending and from accepting any awards for Metal Gear Solid V.
The Escapist has reached out to Konami for comment, and will update this story with any new information.